The 2016 World Luxury Hotel Award! 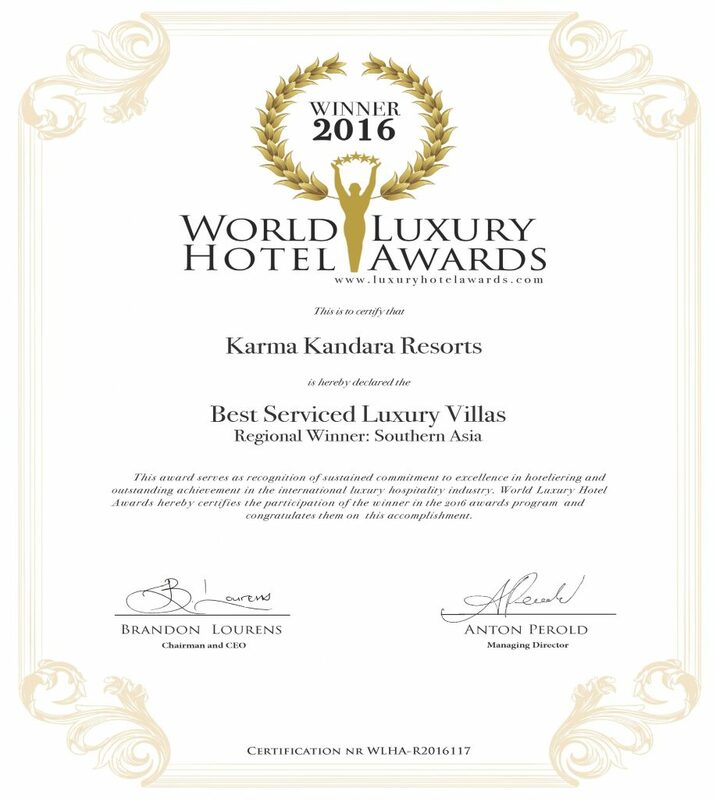 Karma Kandara wins the 2016 World Luxury Hotel Award! In recognition of our outstanding contribution to luxury hospitality, we are thrilled to have won this years award for Best Serviced Luxury Villas. What an accomplishment.